Jumeirah Beach is not just popular as a public beach but also for many waters sports activities too. There are various clubs in this locality, which offer leisure activities such as kitesurfing, water skiing, wind surfing and other water sports. AWE Kitesurfing is exactly this kind of club near Jumeirah Beach that proffers different water sports services including kitesurfing. Moreover, this club welcomes kids into their various water sports related programs. This attribute makes it one of the top family leisure spot in Dubai, where membership is required to avail AWE Kitesurfing’s provisions. Those, who like to know more about this club, should go through this piece of writing. 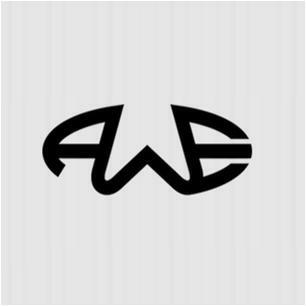 As the name clearly states that AWE specialises in providing kitesurfing facilities but this is not the only provision they have. Their spectrum of services also includes various water sports activities along with kids program. They also provide equipment related to water sports and kitesurfing that is high in quality. Memberships are also offered after availing which you can enjoy a great deal of benefits. There're no specific timings for activities they offer, however, you can contact management for queries between 9:00 am and 5:00 pm daily. Umm Suqueim 1, Jumeirah Road - Dubai - United Arab Emirates. AWE Kitesurfing is more than 2.5 kilometres walking journey from the nearest metro station therefore it is advised that visitors should either take a bus or car in order to get to this kitesurfing site. 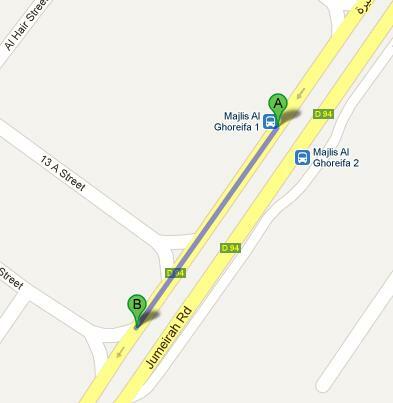 Majlis Al Ghoreifa 1 bus stop is 2 minutes walk and 130 meters journey from AWE Kitesurfing club. To reach this water sports club bus users need to head out in the southwest course on شارع جميرة‎/D 94 and soon they will find their destination. Bus numbers 8, 88 and X28 serves this bus station. Checkout map for directions.